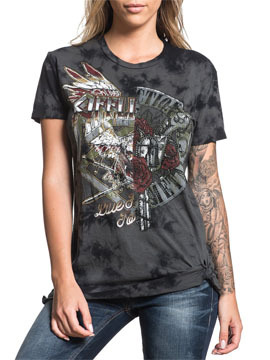 Affliction American Metal Roadie Split womens short sleeve crew neck t-shirt features split graphics of Affliction American Customs Live Fast roadie eagle and Affliction American Metal guns and roses artwork on the other side. Crystal wash creates a vintage tie dye inspired look. 100% Cotton. light weight, slim fit. Garment dyed with silicon wash for soft feel. Color: graphite grey and black. Affliction items are individually made and go through multiple processes to acheive unique look, Styles may include tonal inks, custom dyes, raw edges, raw stitching, raw seams, distressing, grinding, splatter and specialy washes to achieve look. 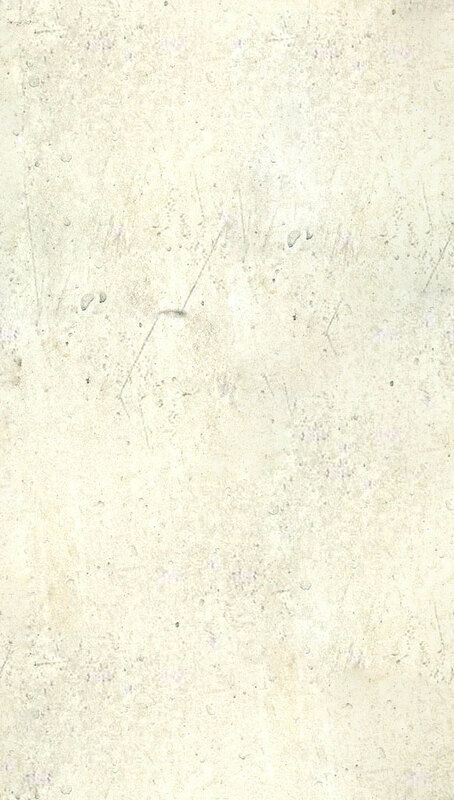 Due to the processes involved in manufacturing, there may be some variances from the one pictured.